ReadJunk.com proudly presents RadicsFest! 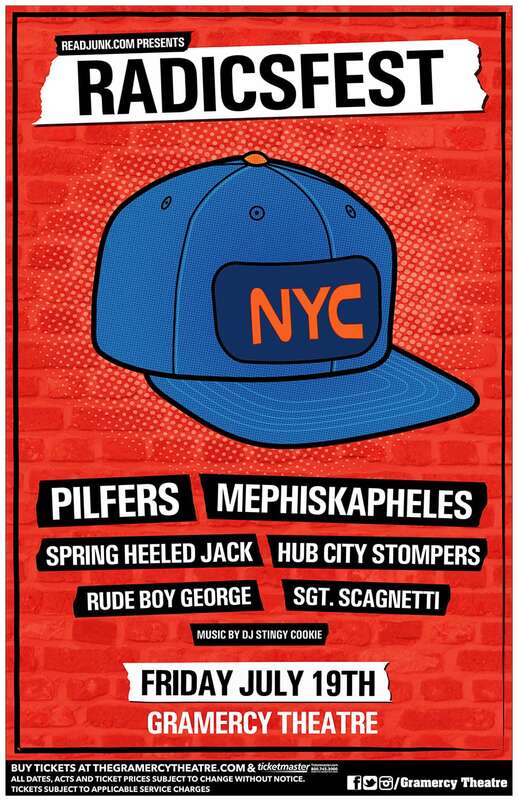 Pilfers, Mephiskapheles, Spring Heeled Jack, Hub City Stompers, Rude Boy George and Sgt. Scagnetti will come together to celebrate the life of Roy Radics of The Rudie Crew & Bigger Thomas. 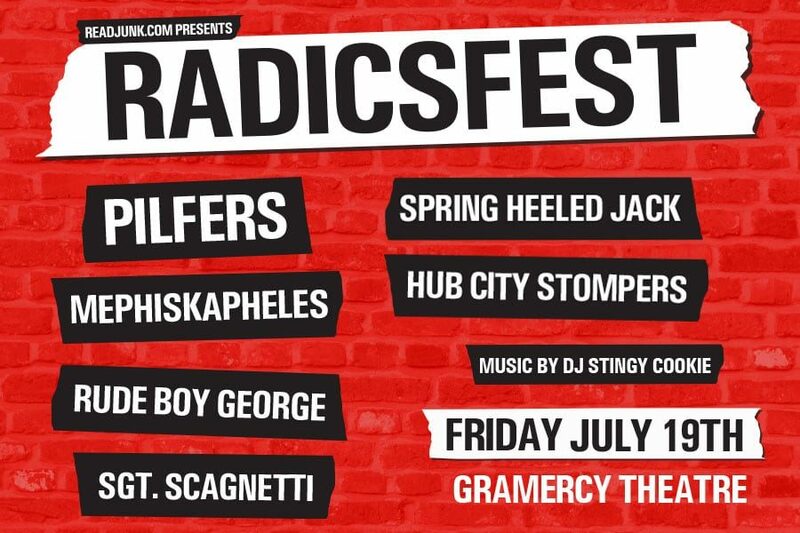 This awesome show is happening on my birthday, Friday July 19th in NYC at Gramercy Theatre. Pre-sale tickets will be on sale Wednesday, March 13th at 10am until Thursday, March 14th at 10pm. Tickets for the general public will go on sale Friday, March 15th at 10am EST. Portion of the proceeds will go to Roy Radics’s family. Tickets are $25 in advance, $30 at the door but I would suggest not waiting to get tickets until the last minute. It’s pretty rare to get such an excellent ska lineup in Manhattan these days. Doors will open at 6pm, not sure when the show will start just yet. You may get tickets at the venue or get them online at Ticketmaster or Live Nation. Now let’s see some videos to get yourself pumped up for this show! Previous: 311, Dirty Heads, The Interrupters & More Touring This Summer!